4 Popular Travel Insurance Upgrades: Worth It or a Waste? ST. PETERSBURG, Fla. October 3, 2018 – Consumers often associate higher price with a better product, but when it comes to travel insurance, more expensive does not always mean better. With a standard policy adding roughly 4 – 10% on top of the trip cost, why pay more for an upgrade? Travel insurance comparison site, Squaremouth, breaks down when four popular travel insurance upgrades are worth considering, and when to skip them. Travel insurance policies cover a specific list of events that prevent a traveler from taking a trip. Most concerns are included in this list, like weather, terrorism, or becoming sick, however a policy won’t simply cover everything. Travelers who are worried that an event may affect their destination but don’t want to wait for their standard benefits to be triggered should consider Cancel For Any Reason coverage. This type of policy is costly, adding about 40% to the premium, but it can pay travelers back a majority of their trip costs without having to provide any reason for cancelling. Expert Tip: Cancel for Any Reason can be a worthwhile upgrade, but most travelers don’t need it. Squaremouth recommends travelers review the Trip Cancellation benefit in their policy first to determine if their potential reason for cancelling is already covered. If their reason for cancelling is not listed, the upgrade may be worth it. Keep in mind this is a time sensitive benefit, and is only available up to 21 days after booking the trip. Medical treatment and transport on cruise ships is often more expensive than typical medical costs, ranging from $50,000 to $100,000, and can exceed that amount in more remote locations. To prepare for these potential expenses, cruisers should consider upgrading their policy with at least $100,000 in Emergency Medical coverage and $250,000 in Medical Evacuation coverage. Expert Tip: Many domestic healthcare providers offer adequate amounts of coverage while traveling abroad. Squaremouth recommends travelers check their primary health insurance policy to see if they are already covered before upgrading their policy. The Emergency Medical benefit comes as either Primary or Secondary coverage – a variation that can impact the claims process. 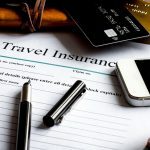 Upgrading a policy to Primary offers travelers the convenience of filing one claim and receiving one conclusion directly from their travel insurance provider, saving them time on the additional paperwork and claims processes often needed for Secondary coverage claims. Don’t have health insurance? Travelers without domestic health insurance don’t necessarily need this upgrade, as Secondary Medical coverage can act as the Primary Medical insurance when it is the sole insurance provider. Have health insurance? Check your policy deductible! Travelers covered by their domestic health insurance should consider Primary Medical coverage, as the premium may actually be less expensive than meeting their health insurance deductible. Travelers may not realize that the activities they have planned are considered especially ‘hazardous’, and therefore not covered under a standard policy. Travelers partaking in activities such as hiking, kayaking and ziplining should consider adding coverage for Hazardous Sports. Expert Tip: Even with this upgrade, some more dangerous activities can still be excluded. Before purchasing a policy, travelers partaking in adventurous trips should confirm their specific activities are covered. Otherwise, a policy may not be worth the price.